Want to go out in winter, but would prefer to do so with an experienced guide rather than on your own? Want to learn how to pack light while staying warm, safe & comfortable also at -15°C? Then let me be your guide and show you the beauty of winter with a light backpack! 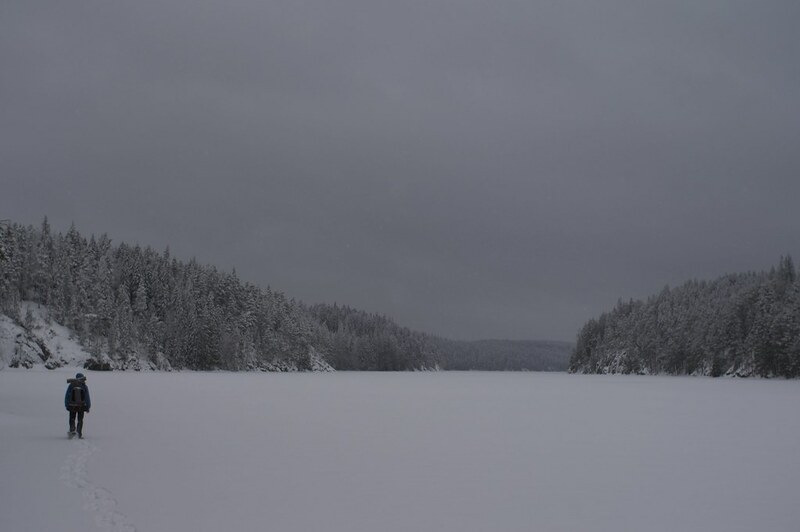 The Winter Backpacking Basics course is a three days/ two nights course which is perfect to familiarise yourself with Nordic winter conditions and how to enjoy them in the outdoors with a rucksack on your back. Before we head out I discuss with you gear & food planning so that you end up with the lightest and safest pack for the conditions ahead, give you information about the area and weather to be expected, and answer all questions you may have. Your safety, enjoyment and that you learn valuable winter skills is the highest priority, as well as having a good amount of fun! On the trail you’ll learn how to navigate in snowcovered forests, hike safely over frozen lakes, and identify the different animal tracks in the snow. At camp we practice to pitch your shelter in the snow, you will learn to make a nice warm fire, how to efficiently melt snow, and stay warm at night; amongst other things. 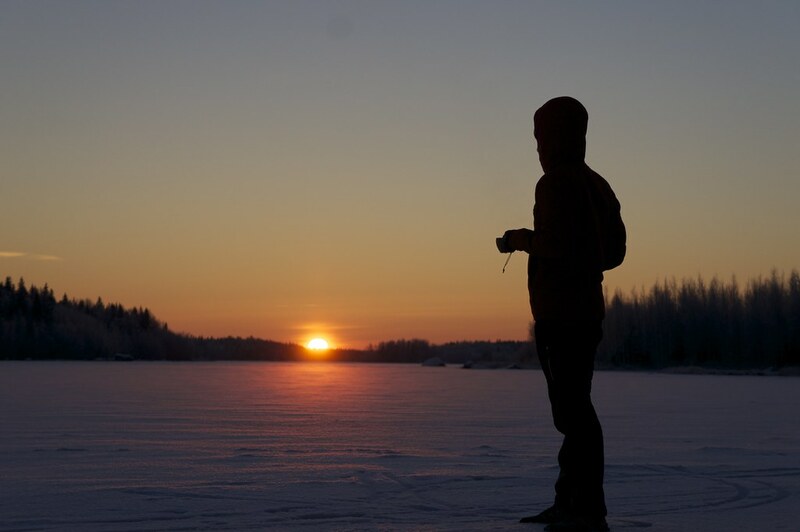 There’s two dates for this course this coming February, the first one is 15.02.2013 - 17.02.2013 in Southern Finland (Pirkanmaa Region) and our mode of transportation will be snowshoes. The second date is 22.02.2013 - 24.02.2013 in Northern Finland (Lapland) and we will use skis as a mode of transport. Both courses have six slots, though be quick to sign up as both courses already have reservations and the dates are approaching fast. Read more and enrol on the Winter Backpacking Basics course page. The Winter Backpacking Immersion course is excellent for those with some winter backpacking experience (for example if you have done the WBB course =) and would like to spend a week in the snow. We will ski for a week through the forests and fjells of Lapland, will build a snowshelter and spend the night in it, and hopefully have plenty of starry nights with Northern Lights dancing above our heads! 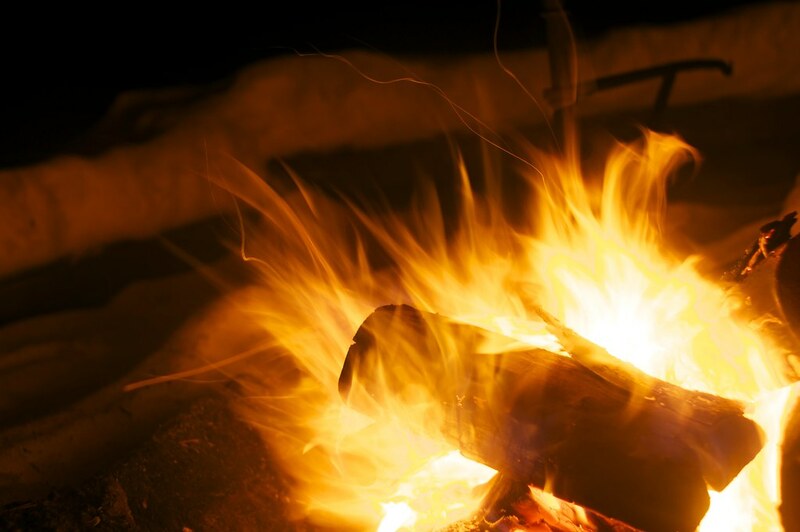 This course helps you to consolidate your winter skills, so that tasks like pitching your shelter on snow, making a fire and staying warm become second nature. From the 16.03. till the 23.03.2013 we will head to the beautiful Urho Kekkonen National Park and ski for a week through it’s breathtaking landscape. This land, close to the Russian Border, is home to Wolverines, Lynx, Wolves and Bears, and we might see tracks from them in the snow. However, more likely we are to see Reindeer, Elks and Hares, while in the sky above us we might be able to spot a Golden Eagle. This will be a superb trip to strengthen your winter skills, and experience the beautiful nature of Lapland! Read more and enrol on the Winter Backpacking Immersion course page. A small, warm gift for the Tour ahead! Both courses are also available as individual courses in case your schedule does not match with the offered dates. In that case you should either fill in the form on the Guided Trips page, or write me an Email. Summer courses, which will focus on ultralight backpacking and packrafting in the North will be coming soon, so stay tuned! Got questions or comments about the courses? Then Email me!